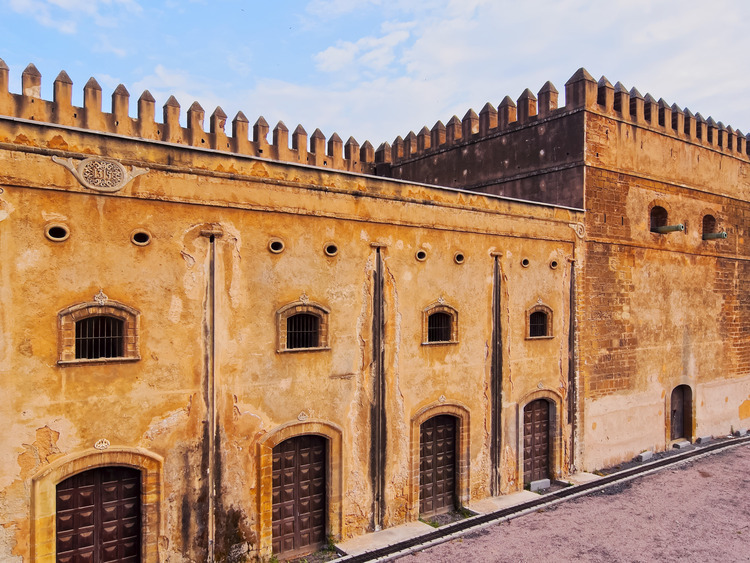 A panoramic tour of the architectural treasures of Morocco's administrative capital. We board our coach to leave Casablanca and head for Rabat, old imperial city founded in the 12th century, capital of Morocco since 1912 and now administrative capital of the country. Our panoramic tour takes us on a journey to explore the architectural treasures of the city: we start with the exterior of the Royal Palace, a splendid reproduction of the most admirable examples of Islamic architecture, and proceed to the surrounding Mechouar quarter, the Mausoleum of Mohammed V, and the Hassan Tower, the minaret of the old Hassan Mosque, built in the Romano-Byzantine style and considered to be one of the biggest temples of Islam. Then we walk across the gardens of the Kasbah of the Udayas and board the coach for our return journey to the ship. The coach transfer to Rabat takes about 1 hour and 30 minutes. During religious celebrations or national festivities, we will only visit the exterior of the mausoleum of Mohammed V.
When the King is in residence, the area around the royal palace and the Mausoleum may be closed to visits without prior notice.